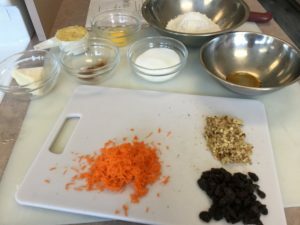 For this lab reflection i chose the carrot muffins. 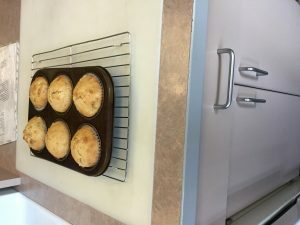 Because i really enjoy making muffins its my go to thing to make if i’m in a cooking scenario. This lab was enjoyable because it was the first lab that we did in the year so it was exciting. The product turned out great it was golden brown and crumbled when you split it in half it checked off all the boxes for the muffin chart. My group worked perfectly fine together we all had are takes and if one of us every needed help with anything one of us would jump in to help so the lab ran very smoothly. If i was to do this lab again i would maybe add cranberries instead of raisins because i per-fer sour over sweet and cranberries would add a little bit more sour flavor to the muffin.